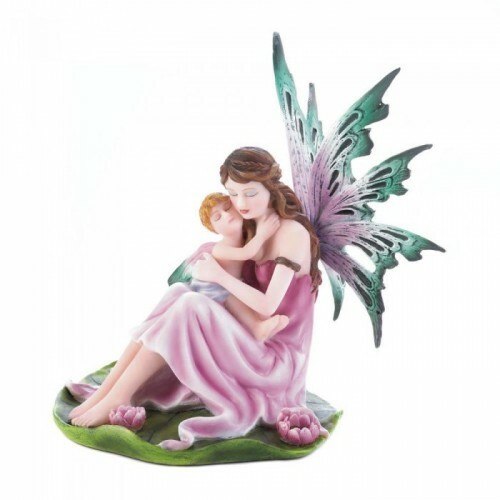 This tender moment between a fairy mother and her fairy child is captured in polyresin and painted to perfection. She has intricate pink and green wings, a pink dress, and her adorable child rests comfortably in her embrace. 6.5" x 5.5" x 6.25"